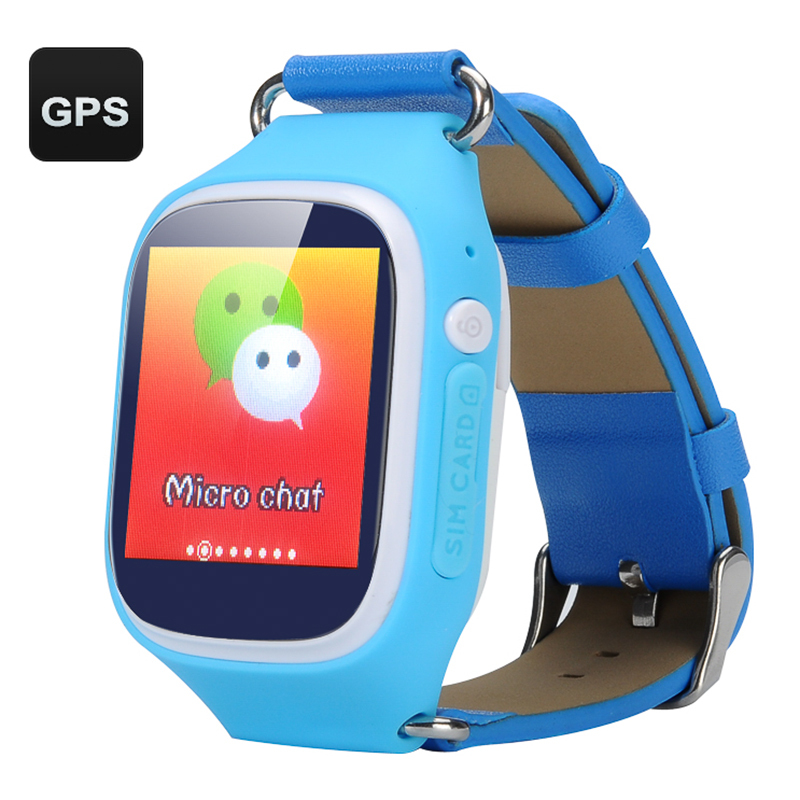 Successfully Added Kids Phone Watch GPS Tracker - GPS + LBS + Wi-Fi Positioning Modes, Pedometer, Walking Route Map, GSM (Blue) to your Shopping Cart. Make sure your child stays out of trouble by knowing exactly where he or she is at all times. This simple mini smartwatch can double as a phone and a powerful security device all in one. Add useful functionality to your child’s everyday accessories with the GPS tracking smartwatch. The watch comes with quad band GSM coverage and lets you easily communicate with your child throughout the day. Simple and safe to use, it will be a fun toy and a practical gadget at the same time. The watch comes with a comprehensive set of security features helping you make sure that your child stays out of harm’s way. With GPS, LBS and Wi-Fi positioning modes, you are sure to know your kid’s precise location at all times. More than that, you will even be able to track your child’s route thanks to the Walking Route Map feature. You will also be alerted should your child attempt to take the watch off. A sedentary lifestyle is also one of the big dangers of today. With the smartwatch, you can make sure that your child stays active throughout the day thanks to the built-in Pedometer that will calculate the number of steps your child takes and report back. Despite all its extensive functionality, the GPS smartwatch features a miniature and compact design, will sit comfortably on your child’s wrist and won’t interrupt them during lessons. The watch can be used non-stop for up to 4 hours and will offer you up to 10 whole days on standby. The GPS Tracker Kids Phone Watch Box comes with a 12 months warranty. Brought to you by the leader in electronic devices as well as wholesale kids GPS watch..